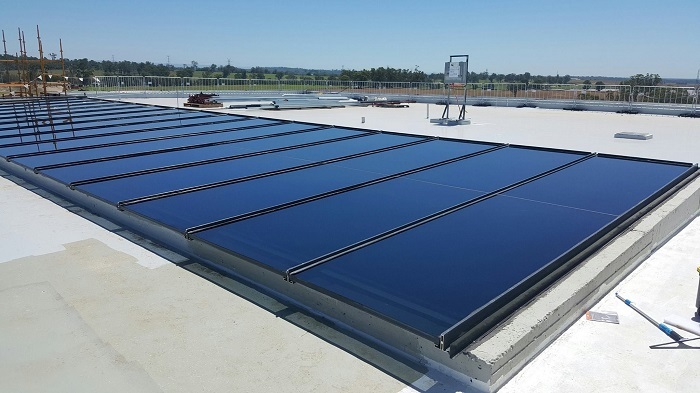 EnduroShield Application team treated 2,000 sqm’s (21,500 sq ft) of exterior glass at the Oran Park Administration center in Sydney’s south. As part of the project the team was also given the opportunity to treat this magnificent commercial skylight. The skylight itself was over 100 square metres (1,076 sq ft) and the team had to work to treat it in the cool part of the day as the glass can get very hot to walk on after a while.